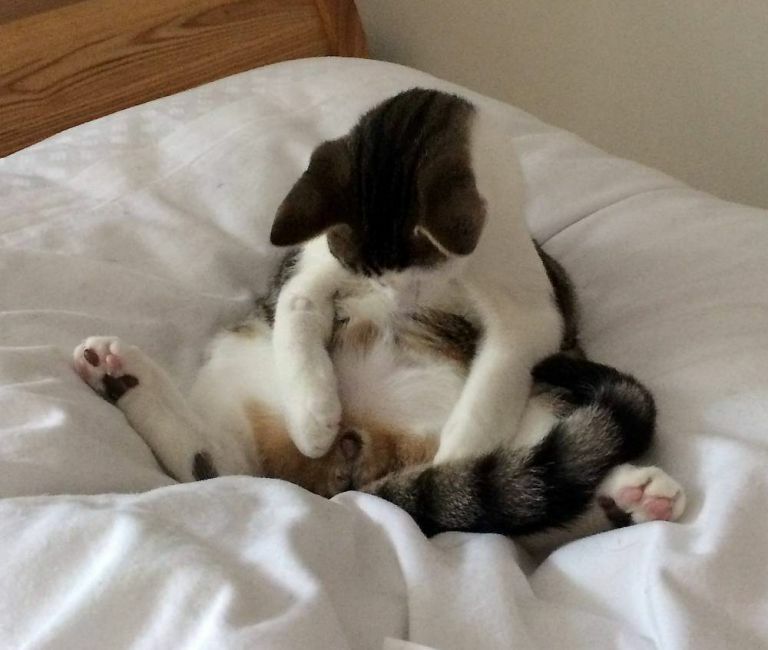 Milo the cat seems to wonder where his missing bits are after his neuter surgery, in a hilarious pair of photos. SWNS photo and news service got the scoop on a hilarious pair of photos taken after a cat came home from the vet’s following his neutering procedure. 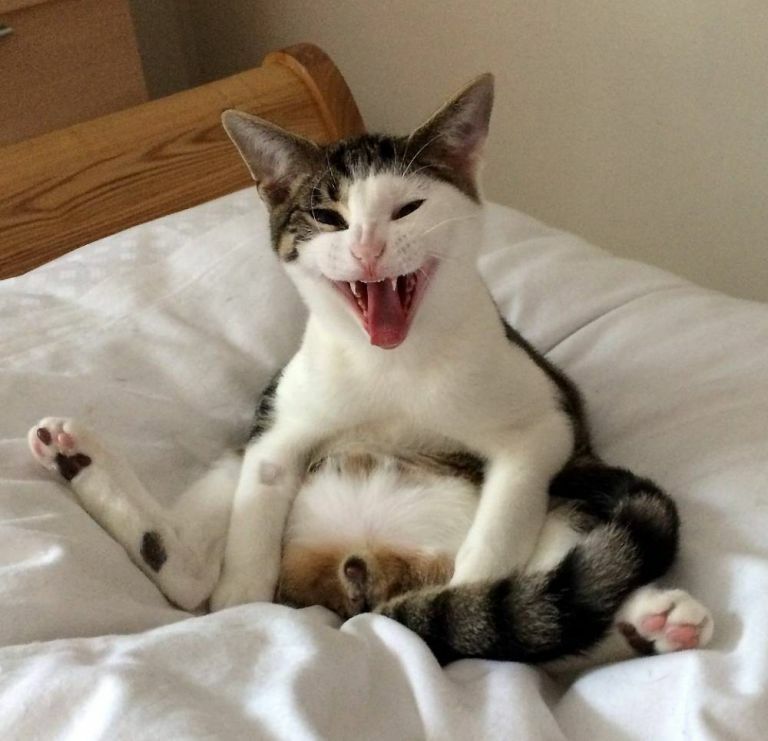 The photos were taken by John Reed of Frizington, Cumbria, UK, and show his 6 month old cat Milo, who’d just come home following his neuter surgery and was coming around from the effects of anesthesia on his petparents’ bed. The photos appear to show Milo’s concern over his missing bits and an expression of horror at what he’s missing. His petdad tells the story from that perspective, and describes that photos, saying: “It was priceless. He took about a good hour or so coming around. “He looked down and realised they were missing and let out this almighty screech. He carried on looking down and staring for ages. Cute Girl and Cat playing Patty Cake!